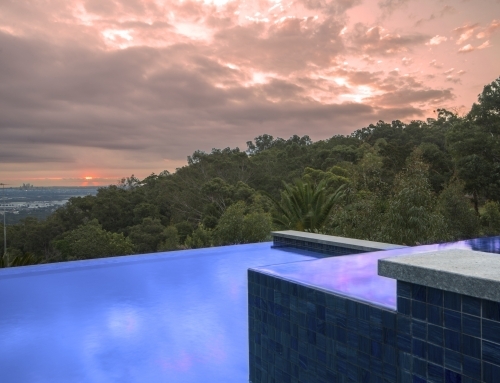 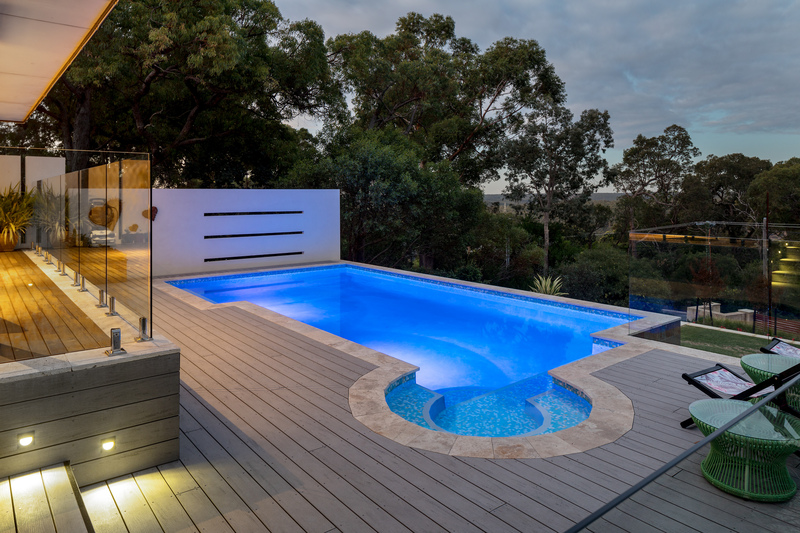 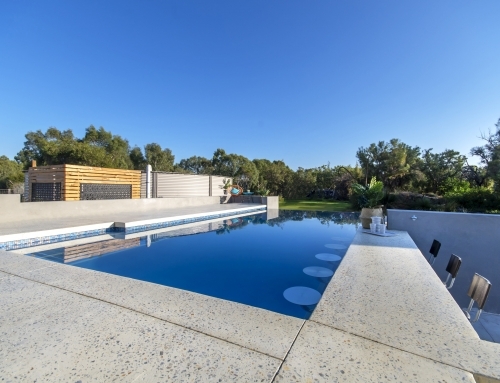 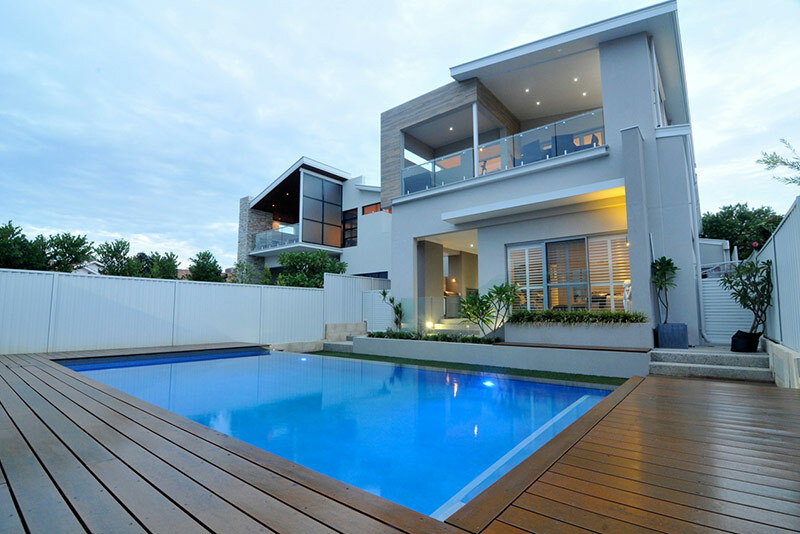 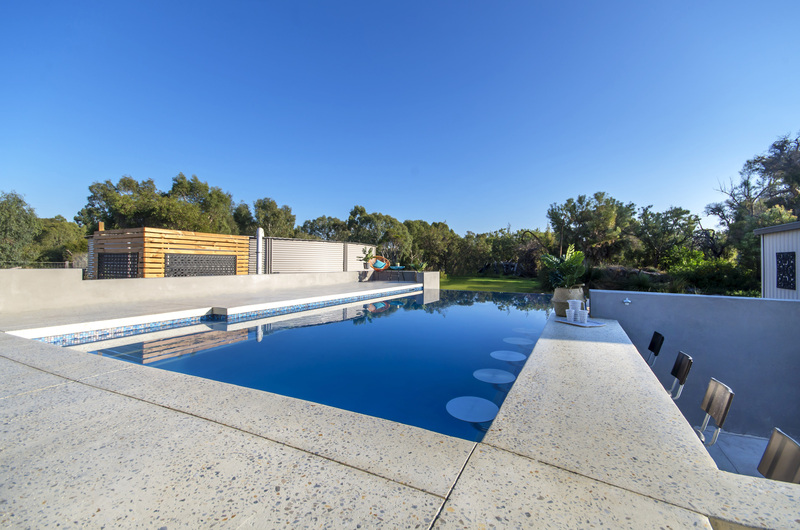 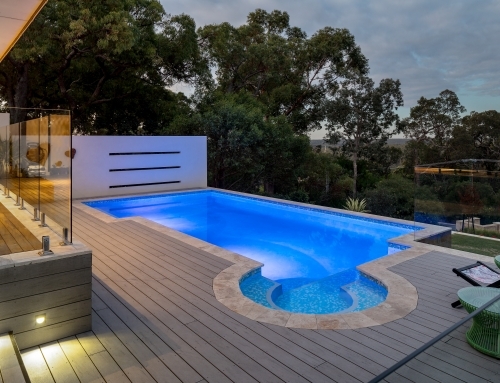 This symmetrically designed geometric pool ties in seamlessly with the contemporary style of the residence and the clients modern taste. 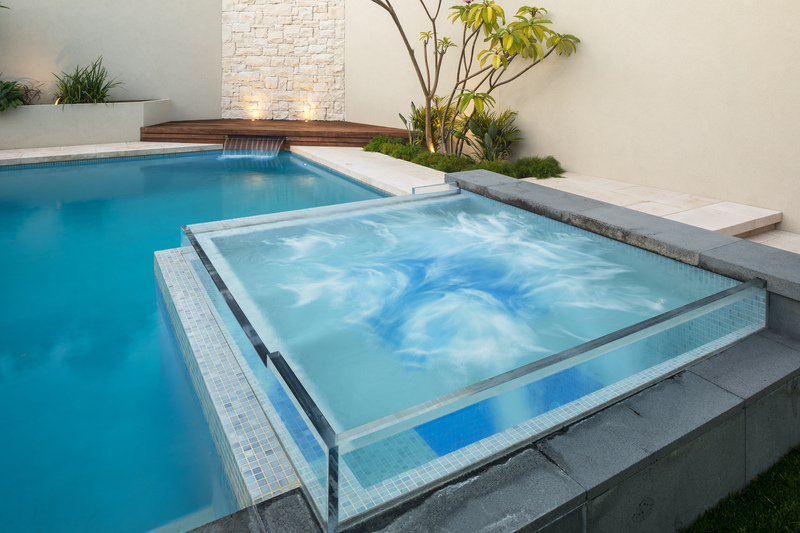 Featuring an infinity edge finished in large format cladding the shallow spillover trough lends itself perfectly to the large stepping stones constructed across the length. 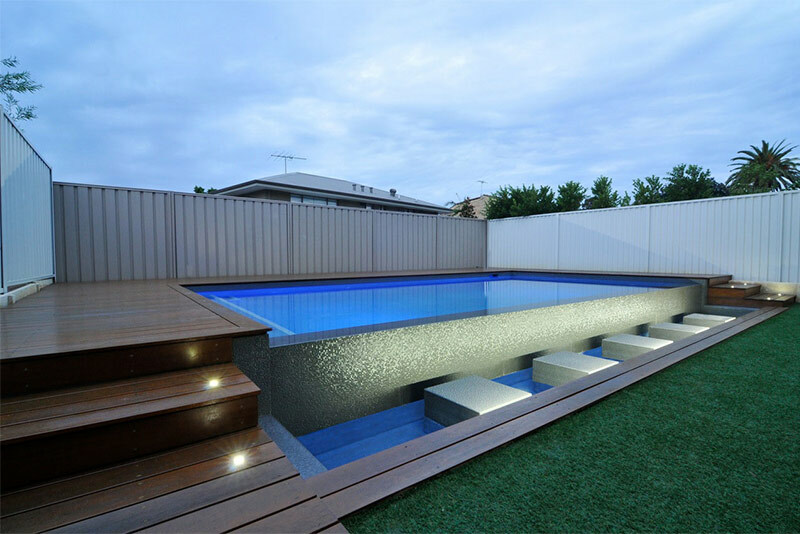 LED strip lighting beneath the trough decking highlight the water wall and LED lighting to the pool complete the illumination. 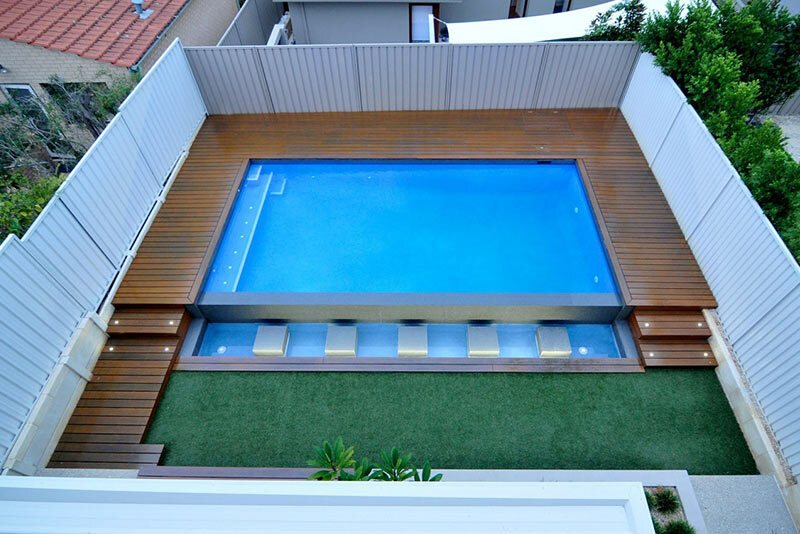 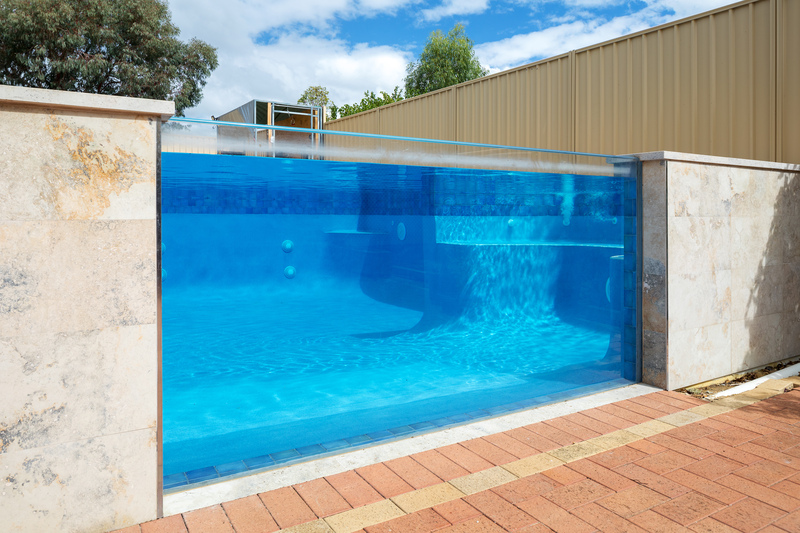 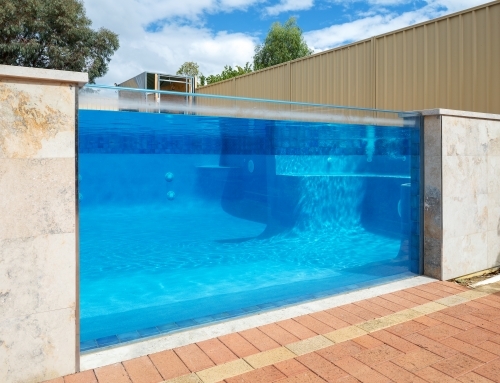 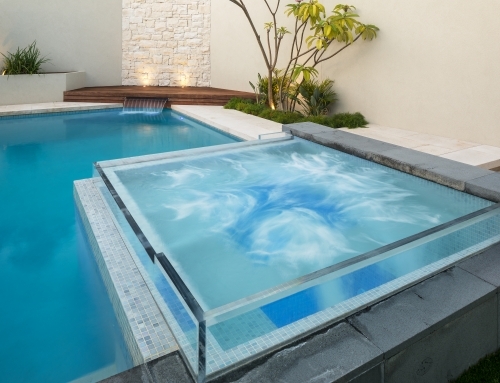 A 4m long bench allows for our client to sit back and relax whilst air buttons add an element of fun to this pool.